We are an established, mid-size brokerage headquartered in Richmond Hill. We value our staff and our clients, knowing that without them we wouldn’t be here. Accordingly, we invest in our team, actively supporting further education within the industry as well as our own in-house training programs, which over the years has helped a number of Axion staff progress through a variety of positions. Processing applications, renewals, endorsements, cancellations, etc. Backing up reception, which includes ordering of MVR and Autoplus reports, logging incoming new business, etc. We are a multi-branch Property and Casualty brokerage with our head office in Richmond Hill (where this position is located). This is a salaried position which includes a Group Benefits Plan, vacation and personal days, and active support in furthering your insurance education. Axion Insurance welcomes and encourages applications from people with different abilities. Accommodations are available on request for candidates taking part in all aspects of the selection process. 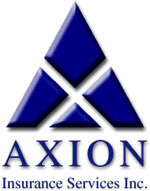 Axion Insurance Services Inc. is a subidary of Western Financial Group. Western Financial Group is a member of the Wawanesa Mutual Insurance Company.